The recent weeks have been centered around Luke and Alex, though, so it was good to focus on the rest of the family. So, let me start off by saying this week's Modern Family made me laugh. Out Loud. What a relief! I was beginning to believe they'd lost their mojo. I'm happy to say I was wrong. This episode restored my faith in the natural funny that makes Modern Family so great! The comedy didn't feel forced, the lines flowed, nobody was too snarky. It was just fun. Don't you agree? Related: Enjoy UNLIMITED access to thousands of movies and TV shows with Amazon Prime Video. WATCH ANYWHERE. CANCEL ANYTIME. Phil was Phil again. Hallelujah! After seeing this episode and thinking of Phil's cheerleading moves, I'm convinced Ty Burrell has some natural dancing abilities. You can just tell that in a person. Know what I mean? Aww. The scarier you try to be, the more adorable you are. Permalink: Aww. The scarier you try to be, the more adorable you are. I liked the way they paired the characters up this week too. Cam was paired up with Phil which totally fit because Cam loves to dance and Phil, being an ex-cheerleader, has moves. So, them hip hopping together was a trip and so them. And those thick gold chains? Hilarious. Did you catch the 'walk this way' reference Mitch casually said in the tiara room? Smooth, natural, funny. Hayley was pretty genius using some reverse psychology on everyone. Maybe there's a cunning genius in there after all. That's right. I'm a little smarter than people think. But lucky too! That moose almost ruined everything! It was nice to see Stella. She hasn't been featured in a while. Jay putting her up in the Ritz was not surprising, although he hasn't shown her that kind of attention in a while. I'm glad his affection for Stella is still alive and well. I don't know what Gloria has against Stella though. If you remember, it was HER who brought Stella into the house in the first place. Remember the good and bad doggy treat product idea? That's when Stella came into the picture and it was Jay who didn't want her and Gloria did. Now it's all topsy turvy. They think we don't remember these things, but we do. Right? She trashed the room. Looked the The Who was staying there. Permalink: She trashed the room. Looked the The Who was staying there. Something that bugged me, and it usually does, is the way Claire is with Phil sometimes. I wish she would just let Phil be Phil. Sometimes she really gets it right, like when she ordered the Chinese Acrobats for him for their 20th anniversary. Other times, she's just embarrassed by him, but he's so awesome, she needs to appreciate that. 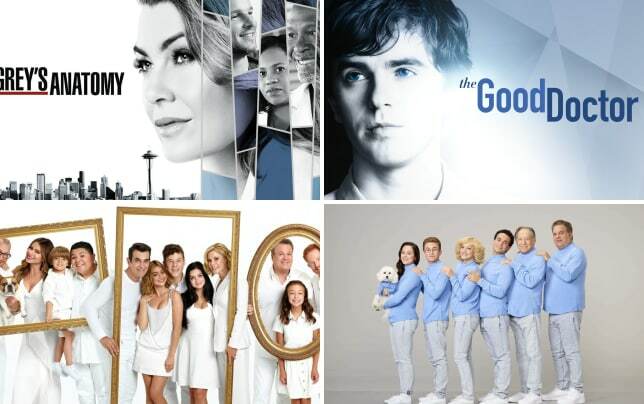 ABC Cheat Sheet: What Will Be Renewed? Let him wear the bear slippers, Claire, he's not hurting a soul! Pun not intended! Speaking of Claire, she's become more of a lush as the show's gone on, but not tonight. In wine country, she was perfectly in control. Way to go, Claire! You can't drink. You have to stay sober to drive the rest of us home. Permalink: You can't drink. You have to stay sober to drive the rest of us home. The writers must have read my review last week when I talked about the lack of Manny this season because there he was in the episode. And what do you know? It was in a big part. The only thing about it was when he was Sherlock Holmes-ing the tiara caper and, instead of being smart like we all know Manny is, he was getting it all wrong and missing clues. That's not like Manny and I know they were after the funny factor, but don't dumb Manny down. He can still be smart and funny at the same time. Seriously. It was good to have him in the episode, though, and hanging out with his family again. Hayley was unusually hyper when they all arrived at her bosses house which threw me off, but I guess it made sense when she revealed her tiara blame-game plan all along. The part that really cracked me up was at the end when Ronaldo was being held hostage at Oprah's. Poor Ronaldo sitting in some dank corner of some basement in the Oprah mansion, tied to a pipe under Oprah's orders. Who else imagined the guards holding up cue cards behind the camera and forcing him to read? Oprah, still upstairs entertaining guests in a fabulous gown with lights and beautiful music and frightened Ronaldo on the verge of torture over a hot candy dish. What did you guys think of tonight's episode? Have you missed seeing the whole family together? 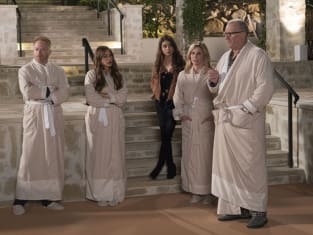 Do you agree this episode felt lighter and funnier than Modern Family has been lately? And by show of hands, who missed Alex and Luke? Don't miss any episodes of Modern Family! Guaranteed for a laugh every week and you can watch Modern Family online right here at TV Fanatic to catch up or just watch them over and over! Stick around and watch more of your favorite shows and read reviews from fanatics like you.